From “waving hand” to “Swiping Finger”, technology has transformed the way people call a taxi. Riding with strangers has never been a safer way of transportation, but now, we share cabs with strangers safely and save a lot of bucks. Whether you are planning to visit a doctor, book a cab, order food at home; the mobile applications have been a one-stop solution for most of our daily needs. With the increasing demand of smartphone in the market, many business groups have incorporated mobile application into their business. 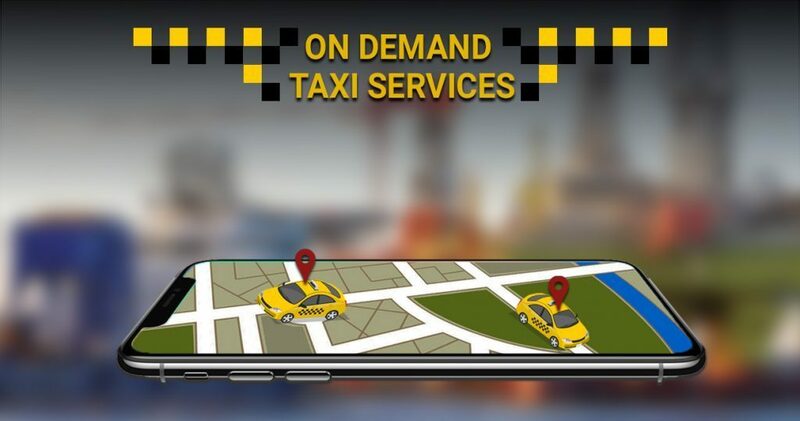 With the potential application of Mobile Apps into various transportation industry verticals, taxi businesses have adopted the on-demand business model to serve real-time demand with an uninterrupted supply. Taxi Booking Mobile Application like Uber has completely transformed the personal transportation system and you might want to leverage this transportation phase. In order to get the best out of your taxi business, you also need an Uber-like App. But the question is how can you get an Uber Like App Developed? What are the most important factors should one consider while getting the app developed? Yes, the development time might vary because sometimes to increase the business revenue and stand out against competitors, additional exclusive features are also added. An App like Uber has GPS as the most important feature. You can know the real-time location and even track you taxies. The optimized route will make your taxi operation fuel and time efficient. The most common types of notifications are SMS or Push Notifications. From the moment you book a cab and sending them updates to promotional offers, notifications play a vital role. The payment system is the most important of all features. The payment system should be safer, faster and very well validated. An option of cashless or cash should always be given. One important thing to note is to have a right development team as the cost also varies based on who builds the app-a freelance developer, high-end professional app development company or in-house. For correct Mobile Application Development Services, high-end professional app Development Company should be trusted. As there are multiple Top Mobile Application Development Companies, the competition is tough. So, having a team of developers, quality analyst and skilled designers within the company is a smart decision. The Mobile App development should be flexible enough and not the strict one. To go for Uber Like App Development, you should opt a company that gives you enough freedom to make the changes or updates in Application whenever you want. Look for those development firm or company that is open to changes and provides flexible engagement models. Building a Mobile Application like Uber is not a challenge if you are quite committed and passionate about doing it. You just need to first make a roadmap and develop a right approach to achieve your desired design. Because making a Mobile Application is not everyone’s cup of tea, having a right expertise with enough experience is required to build your business.